I’ve written before about how changed German women were after the war. But what happened to the relationships between wives and their husbands? Annegrete Baum’s Frauenalltag und Empanzipation talks about the hard realities German husbands faced when they came home after 1945. On paper, nothing had changed. Marriage was still regulated by laws drawn up in 1900. A husband controlled his wife’s money and whether she could work outside the home. He dictated her roll with their children. He had the right to decide where the family would live, what furniture and appliances the home might have, and when meals would be served. The result — many couples walked away from their marriages. In Catholic (!) Bavaria, for instance, the divorce rate rose from 4.7% in 1938 to 16.5% in 1949. With letters from women, the screenwriter and moderator Walther von Hollander tried to understand why rates of divorce shot up in Germany after the war. The core reason was how well women took on responsibilities that used to be reserved for men. That translated into control over their money and, as an extension, a new sexual freedom. And these changes were happening on a home front where the women fought to survive the bombardments and invasion. Women saw themselves as soldiers as much as their men. Husbands had no right to claim special privileges when they got home. Hollander also had to admit part of the problem was simple. The men had lost the war. But as a wise female physician observed, they returned not infrequently with the look of winners. “Women,” the physician said, “entrusted their lives to the men, and even trustingly followed them into the war, which they rejected internally. The women knew a long time ago that the war was lost. But the men assured them that they would still win it. Now, after the defeat, they cannot demand that we continue to entrust ourselves to their leadership. What about couples who stayed together? A 1948 episode of the radio show “Guten Morgen, liebe Hausfrau” offered advice for a good postwar marriage. (1) My translation from Baum p.95. 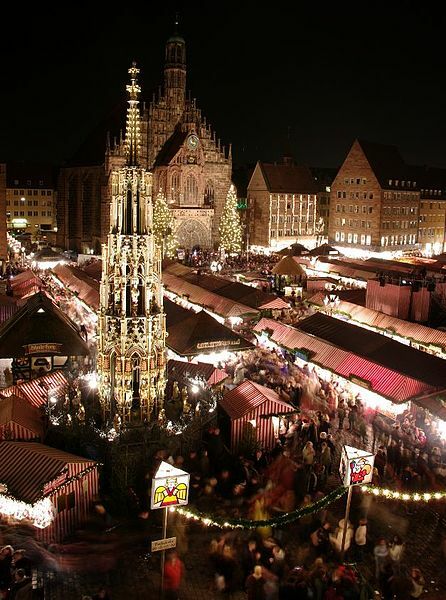 Anyone who’s ever been to a Christmas market knows how important the holiday season is in Germany. After World War 2, the Germans celebrated the first peaceful Christmases any way they could. They lived in a world of shortages and destruction, but they — and the Allies in Germany — did what they could to spread a little cheer in hard times. It wasn’t easy. Winter 1945 was known as a turnip winter. There wasn’t much food to go around, and the traditional Christmas feast was out of the question for most people. A year later, things were even worse. In December 1946, temperatures dropped to minus 20C in parts of Germany. People died of cold and hunger, though far fewer than expected considering the living conditions. Despite the challenges, there were Christmas concerts and parties. The Allies sponsored events for children and donated food and sweets. Shops lucky enough to have window glass dressed them with tinsel and bulbs and wished their customers a Merry Christmas. “What do you think of a Christmas tree?” Frank asked me this morning. Germans who did cut down trees in surrounding forests — illegally. The Allies controlled who harvested trees, where and when. Christmas was (and is) a season of hope. The Germans in the postwar era needed this reminder that humanity had a future in peace, not in the violence of the inhuman war their country had started and lost. 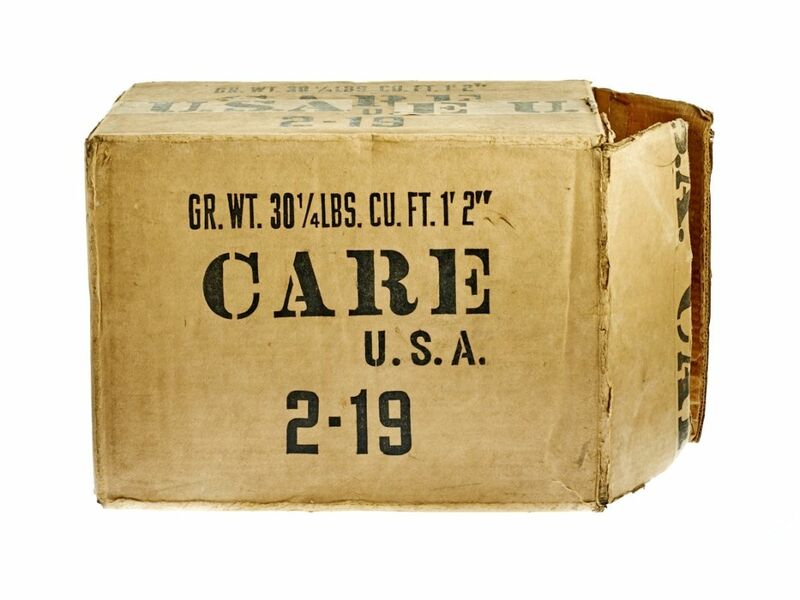 Ever wanted a close look at a CARE package, a pair of POW trousers or other artifacts? The German Historical Museum, the Stiftung of the Haus der Geschichte der Bundesrepublik Deutschland and the Bundesarchiv have a nice website called the Living Museum Online, or LEMO. It combines facts about the eras in German history with eyewitness reports, multimedia and objects for exploration. The postwar eyewitness page is here. All in German, but there’s still much to explore even if you don’t know the language. The photos and videos are also worth a look. And if you want a look at those trousers, try the 360-degree objects page.